Why are some GPIO pins not available? So that's 17 pins and then 4 on the header. I see GPIO pins GPIO05, GPIO06, GPIO12, GPIO13, GPIO16, GPIO19, GPIO20, GPIO21 and GPIO26 are shown. Why can't I use these? They are also listed here. I am using a RPi Version 2 which I understand uses the same form-factor as B+ and need to know which pins I can use and which I can't. I just don't understand which pins I can and cannot use and if the above is correct, why I can't use them. 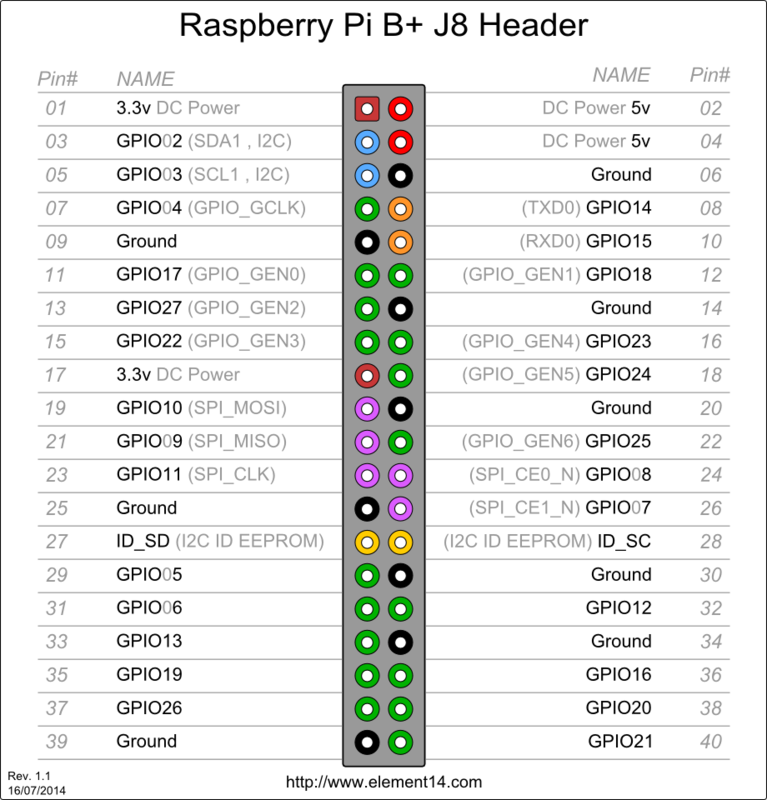 I too was confused when I saw the Raspberry Pi documentation that said I could not use GPIO05, GPIO06, GPIO12, GPIO13, GPIO16, GPIO19, GPIO20, GPIO21, and GPIO26. I believe this is simply a holdover from the days when the Raspberry Pi's header did not yet have the extra 6 rows. I have a Raspberry Pi 3 Model B V1.2 and I am able to use GPIO20 as expected. sudo -i # Usually, sysfs gpio access is restricted to root. Raspbian seems to have an extra gpio group that can be used. Why are some GPIO pins HIGH when the Raspberry Pi boots up? Is this behaviour of GPIO pins normal?